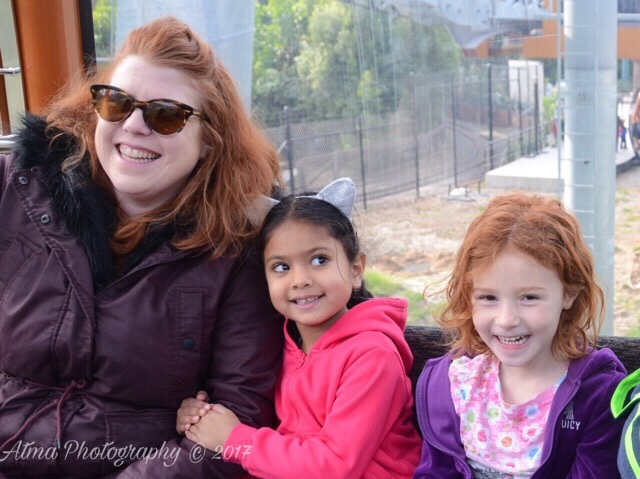 In 2015 we had a membership to the Oakland Zoo, but ended up stopping to go when my kids became more interested in going on the amusement rides (which are not included in the membership) than seeing the animals (which are). We moved up North and the zoo was no longer as convenient, so we didn’t make the trip. But in the fall of 2017, the Oakland Zoo made a big announcement. After many years of building, it’s new gondola were finally open. Now, I suddenly wanted to go back to the Zoo. 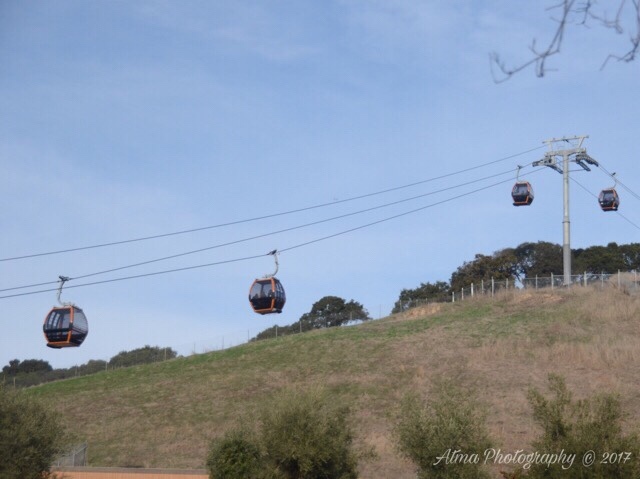 Built using technology found in the gondola systems of the Swiss alps, the new gondola took you 650 feet above sea level to see stunning views of the Bay Area all around you. At the top, a brand new restaurant, the Landing Cafe, and visitors center. Not to mention some of the best views you will see from the East Bay. 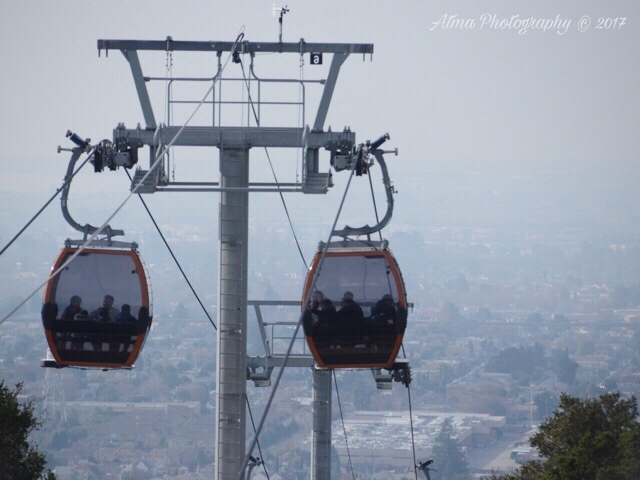 Over the holiday break, my friend and I had to get the kids out of the house, and we both wanted to see the new gondola. So we made a date, and the two families met at the Oakland Zoo. While the kids were just generally excited to see each other outside of school, and do all the fun things offered, we moms had our priorities. The gondola had to be first. We figured, we would ride them up, get an early lunch, see the view, and then head down and see the animals. We got our excited crew in line, and were happy to see that each gondola fits 8 people, exactly our group size. Perfect! The ride was exceptionally smooth. Being encased in glass gives you a feeling of security, so you don’t think about exactly how high in the air you are. All you can concentrate on is the beautiful views all around you. Going up you get a breathtaking view of Oakland leading out to the bay, the Bay Bridge, and even San Francisco in the distance. 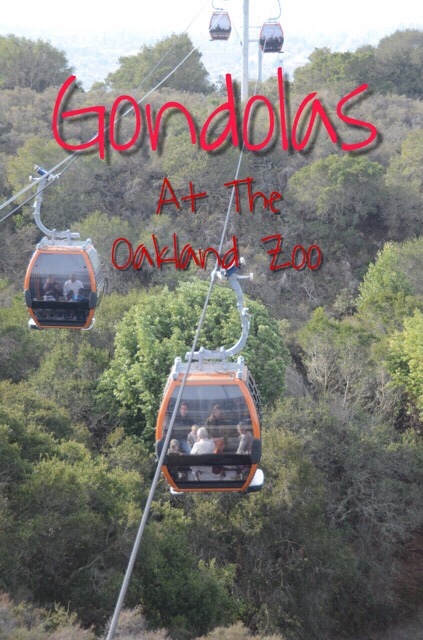 Up higher, the gondola flattens out and you see the pristine beauty of the wild below, something not expected in the heart of Oakland. At the top we got the excited bunch to climb the stairs, and go to the Landing Cafe. We organized everyone’s lunch order over shouts, and then got in line to order…and were told they didn’t open until 12. It was 11:30. Well there went that plan. Having had experience with the sub-par food in the restaurants below, and having heard good reviews about the new restaurant, we had no desire to go down. So we decided to wait it out. We got some snacks that were for sale, and the husbands got in a rapidly forming line. 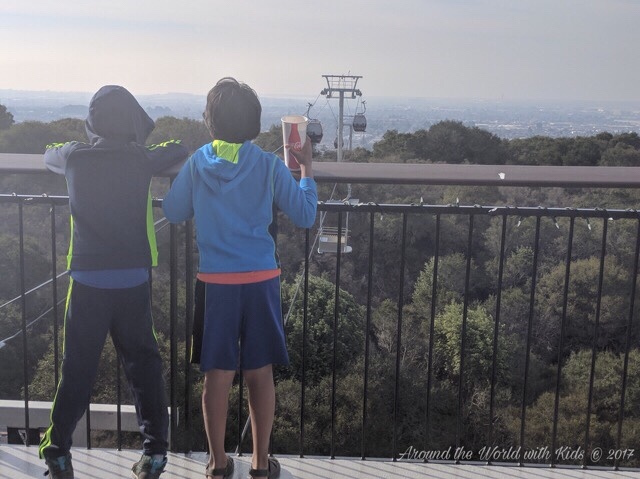 My friend and I took the kids outside to enjoy the view, and let them snack, and expend some energy. Finally the cafe opened and the food came..sort of. Apparently the salad counter took longer to set up, so my poor friend had to wait forever for her salad. The rest of us who weren’t starting new year diets yet had pizza and hamburgers and they came quickly. I had heard the garlic fries were really good and they did not disappoint. The burger was also good, and the kale salad, once it was completed, was delicious. Overall we were glad we waited for the cafe to open. After lunch, we hit up the restrooms and let the kids mess around at the photo area, before we headed back down in the gondola to see the animals. The view was just as beautiful on the way down, and was over all too quickly. The rest of the day we saw animals, went on amusement rides, and generally had a fantastic day at the zoo. 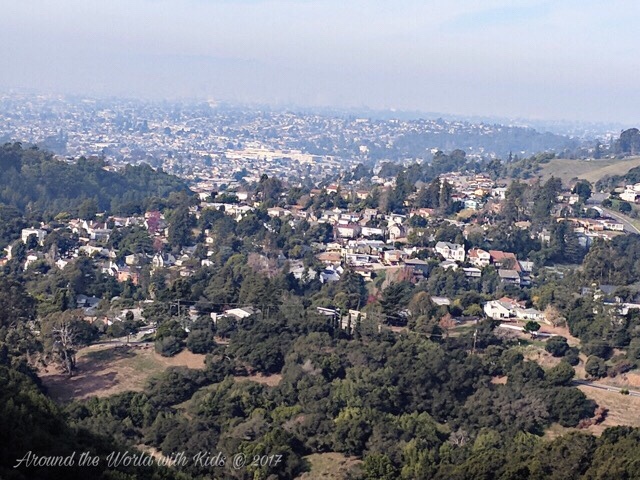 But the highlight was definitely the breathtaking view of the top of the Oakland Hills, and the feeling of amazement at the engineering that created this spectacular ride. Go to the Zoo. The ride alone is worth it.